Hi, this is Garrett Madison calling in for the Alpine Ascents Mount Vinson Expedition with the Japanese group from The Adventure Guides. 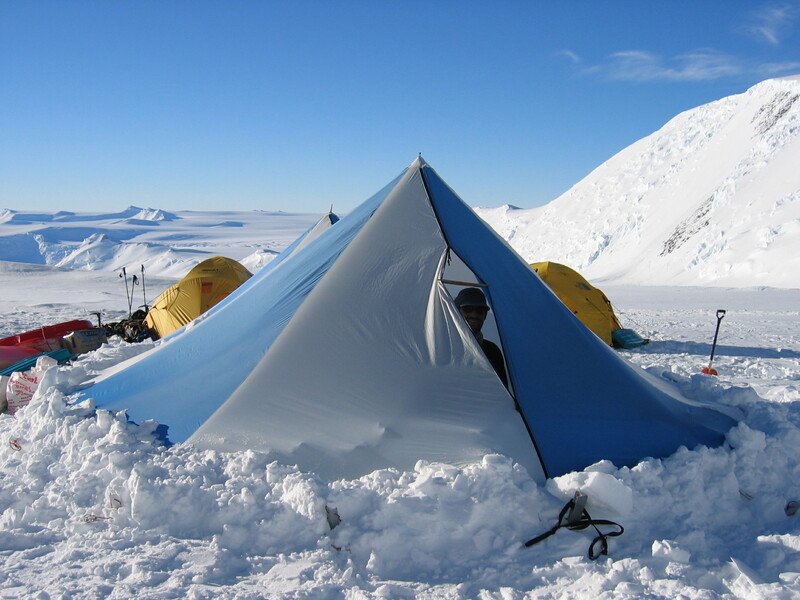 It’s now Tuesday morning, December 31st and we spent all day on the 30th climbing up to Low Camp from Vinson Base Camp. We got up to Low Camp and we’re the only ones here. Everybody else, who’s on the mountain, is down in Base Camp. And we set up our tents, and melted some snow for water, and cooked a nice dinner. And now everybody’s finally tucked into bed here; it’s about 1:30-1:45 in the morning and they’re looking forward to a long sleep. And we’re going to take our rest day tomorrow, do some training, and get ready for our next day of carrying up the fixed ropes. So everybody’s doing very well and we’ll check in soon. A second call from The Seven Guanacos to ensure we heard they are standing on the summit of Aconcagua!